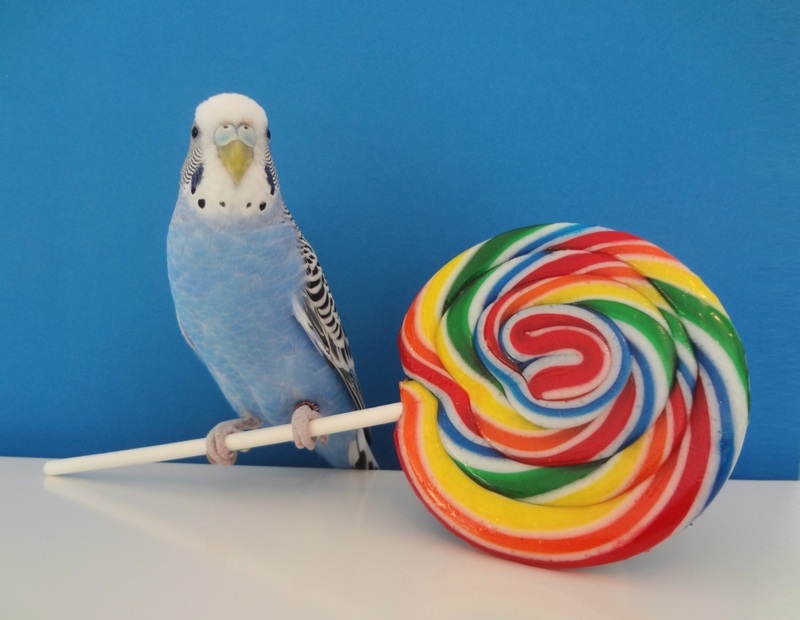 Posted on July 20, 2013 by Michelle M.
This entry was posted in Budgie food, Holiday Fun and tagged budgie, budgie lolliop, Cooper, holiday fun, National lollipop day, parakeet by Michelle M.. Bookmark the permalink. Happy Lollipop Day everybody! Hope you got your free lollipop from See’s Candies.